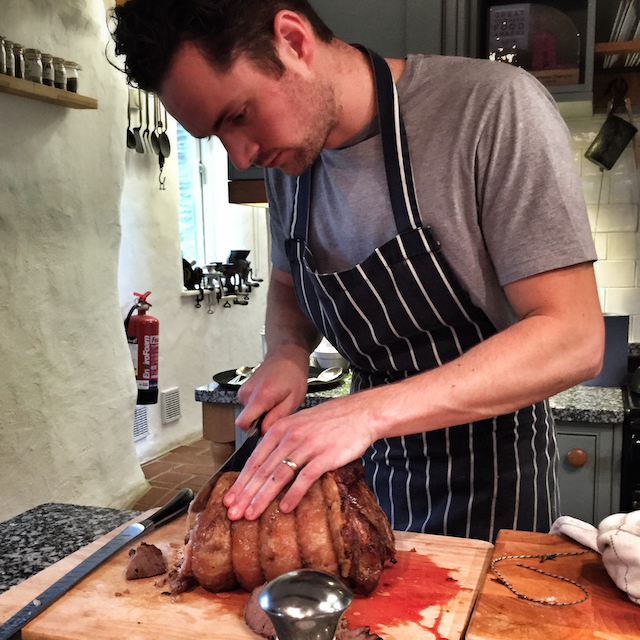 A few months ago I was lucky enough to win a Cornish Mutual competition; the prize was Sunday lunch at Philleigh Way Cookery School on the Roseland. 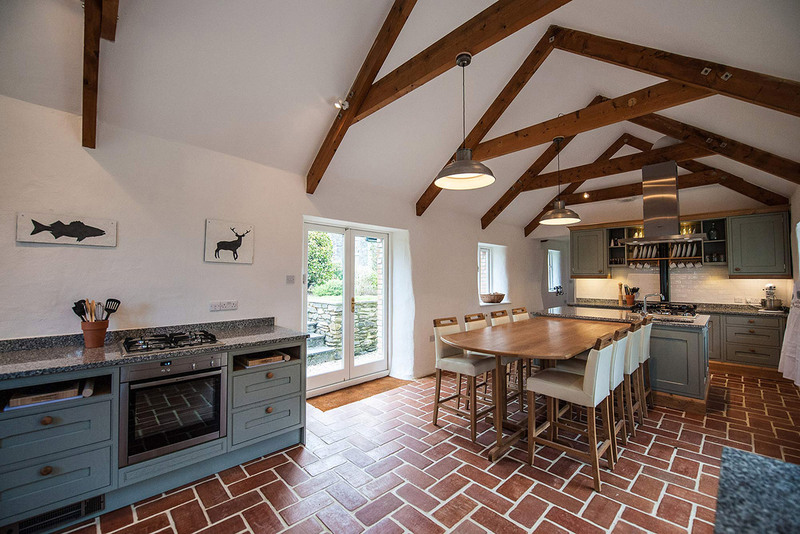 The converted barn is cleverly set up for both cookery courses and private dining. We sat at the long table while chef George Pascoe slaved away at the kitchen end of the room and Lindsey whizzed around making us comfortable and pouring drinks. 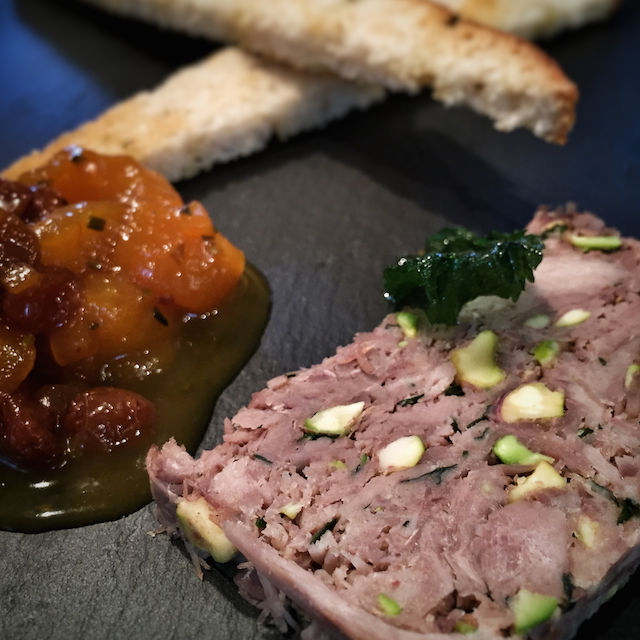 We kicked off with a huge slice of very tasty confit duck and pistachio terrine, with a spiced pear chutney and long slices of toasted, freshly baked focaccia. 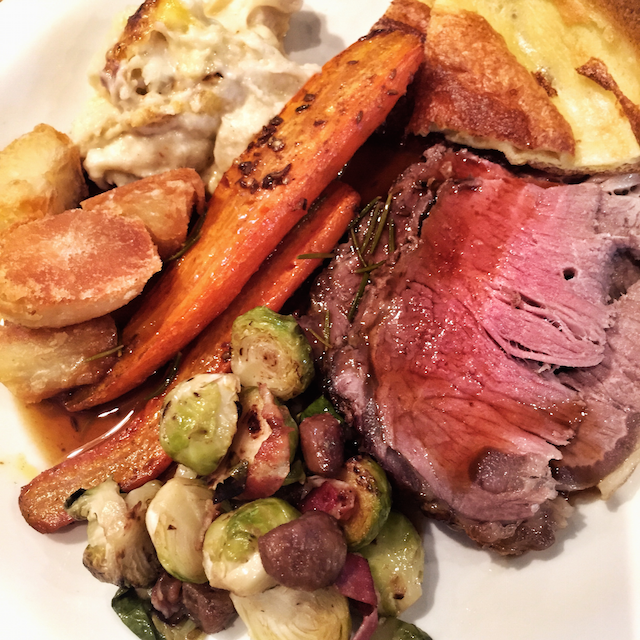 Alongside our mouthwateringly delicious roast sirloin of beef, we enjoyed Brussels sprouts (with bacon and chestnuts), roast potatoes, Yorkshire pudding (brought in by George’s mother from the farmhouse), cauliflower cheese, roast carrots (with fennel and cumin seeds), and red cabbage. What a feast. 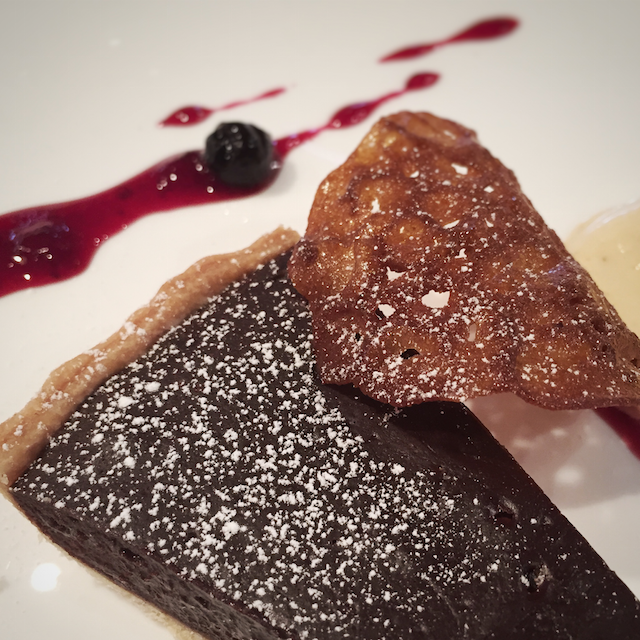 By this point we were really really full, but we managed to put away a slice of chocolate tart (crisp pastry, silky smooth filling), served with a berry coulis, peanut and salted caramel ice cream and a brandy snap tuile. I think it’s hard to beat a home cooked roast – pub Sunday lunches can be so disappointing – but everything we ate was delicious. We all felt like we’d been to a friend’s house for lunch, and nobody had to do the washing up. Huge thanks to Cornish Mutual and to George and Lindsey for looking after us so well. 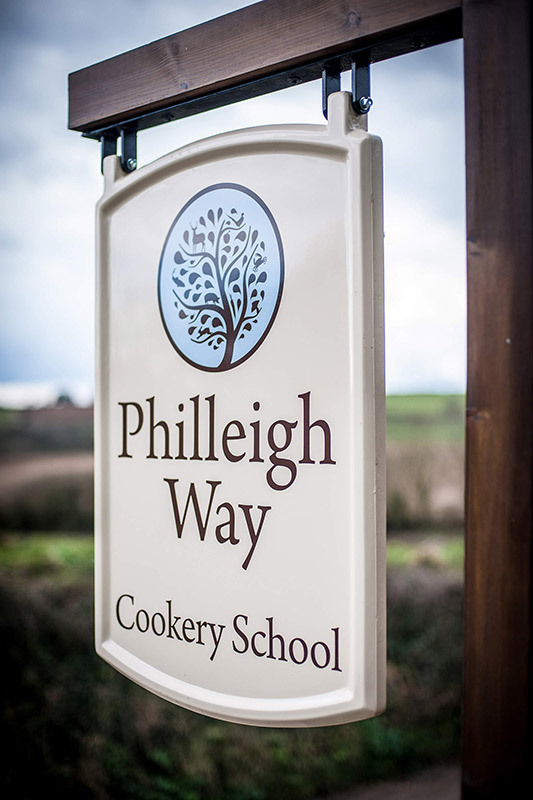 For more information about cookery courses, events and private dining at Philleigh Way, visit www.philleighway.co.uk. They are offering a 20% discount on all courses and gift vouchers until 25 Dec 2015 with the discount code FATGOOSE. We’re really glad you had a great time Ellie! Looks and sounds delicious.